Get real-time market data for cattle auctions from across the country. Keeping up with the cattle market just got easier. 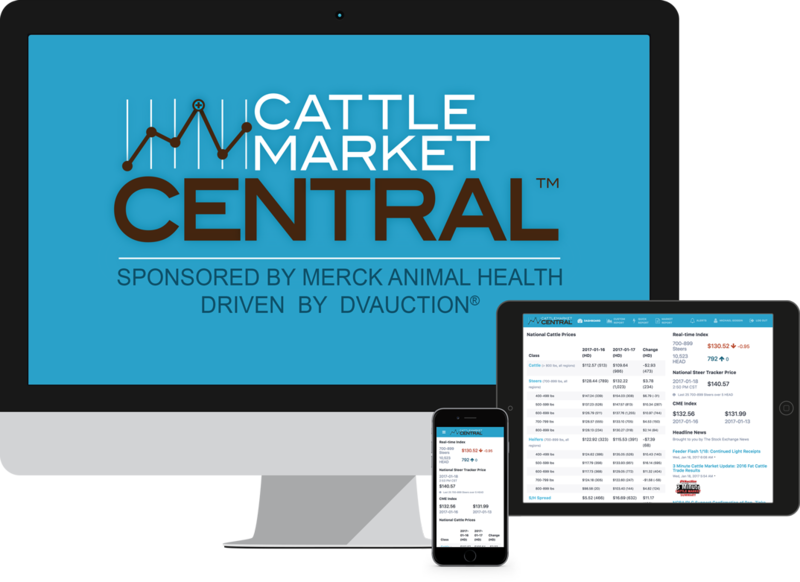 Cattle Market Central™ is the exclusive provider of real-time national cattle market prices. Stay ahead of the market with the Real-Time Index (RTI), exclusive only to Cattle Market Central™. Get detailed market updates fast. Customize cattle criteria to find exactly what you need. Join a live sale in just one click. © 2019 DVAuction, Inc. All rights reserved, except where otherwise noted. Patent pending. Don't see your auction market listed? Want it listed? Let us know! Have questions or comments? Email Jason Ronsse at jronsse@dvauction.com.